This Friday night on ESPN+, Gilbert Ramirez and Jessie Hart meet in the ring for a rematch from a spirited effort two September’s ago. Can Ramirez breakout of a recent funk of non-competitive opposition and show some of the potential he shined versus Arthur Abraham back in 2016? Or will Hart come out of the gates quicker the second time around to knock off the WBO 168-pound titleholder? One thing is for certain both men need to right a wrong coming off their first fight. 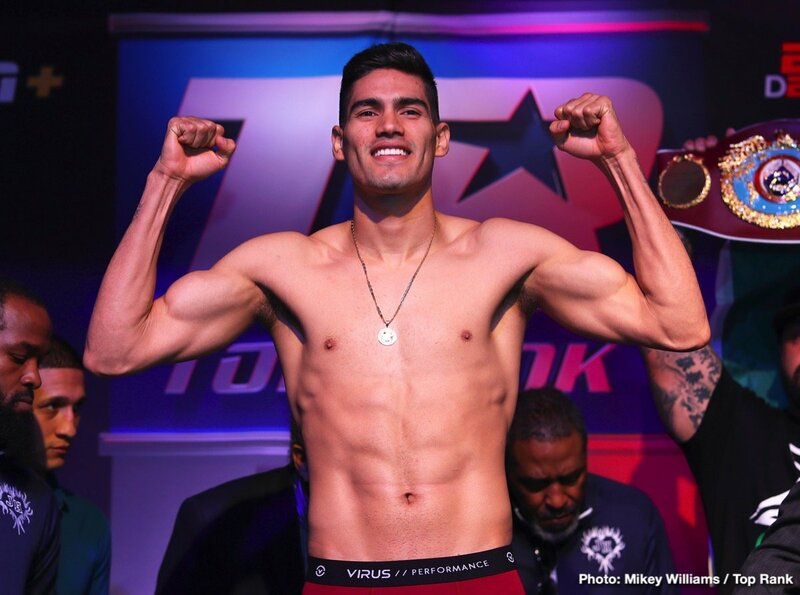 At the age of 27, Gilberto ‘Zurdo’ Ramirez looks the part of a superstar in the making, but has failed capture the imagination of boxing fans. One would think he’s tailor-made to attract the deep-seeded Mexican fan base in this country. He’s a handsome guy with a sparkling record of 38-0 with 25 KO’s, yet still the built-in audience hasn’t responded accordingly. A deeper dive in to Ramirez’s shiny-undefeated record shows he hasn’t really been tested by a well-known, top-level fighter in their prime. Arthur Abraham had fought in several high-profile fights broadcasted in the United States but wasn’t really a known commodity here and was way past it. His title defenses over the last two years have been poor to say the least, beyond a back and forth scrap against Hart. Struggling with Hart furthered the overrated label on Gilberto. Make no mistake about it he will need a breakout performance on Friday to counter the critics. Jessie Hart’s victory in 2015 over then unbeaten Mike Jimenez, officially announced him on the scene as a legit prospect. Hart has 21 knockouts out of his 25 wins and is primed to make some noise at the super middleweight division. 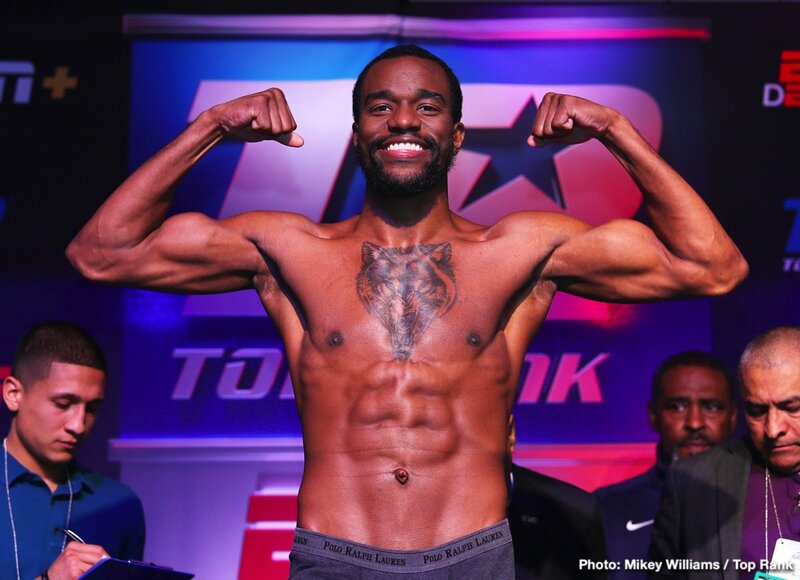 Since taking his first defeat, Hart has 3 victories one of them over Demond Nicholson scoring an impressive 7th round TKO. What wasn’t a good sign, Hart getting caught flush by a right hand from Nicholson near the end of the first round. Hart’s legs were shaky from the shot, to his credit he did manage to recoup and take over the action convincingly. In Hart’s and Ramirez’s first meeting, Gilberto started fast winning 3 out of the first 4 rounds. The first round was very competitive, the second round was one-sided, not only did Ramirez outland Hart 22-3, he dropped Jessie as well. A right hand and left hook combination during an exchange had Hart hurt bad, judging by his legs it looked like it would be over quick. Hart was able to recover and do more than just survive the opening onslaught from Ramirez. Hart got back to his jab and used good head and foot movement to evade much of the aggression by Ramirez. As the rounds wore on Hart began to pick up the pace and soon after became the pressure fighter in spots. Hooks, crosses, and several nasty uppercuts had Hart streaking as he made a mad-dash to the finish line in the last third of the fight. Ramirez was able to sneak out the 9th or 10th giving him just enough cushion to sway the judge’s scorecards. The scorecards read 115-112, 115-112, and 114-113 in favor of Ramirez. What will be different if anything for the rematch this Friday on ESPN+? Gilberto must remain consistent throughout the fight by staying focused the entire time, even if he drops or hurts Hart early again. Ramirez has a bad habit of fading in fights whether it’s him getting too comfortable or confident. Hart must stay on his feet in the early frames instead of getting caught clean when a fighter’s body is most susceptible still trying to warm up. Sticking to a smart outside boxing approach, while setting traps is the recipe for success for Jessie. The rematch will look similar in spots and may play out eerily the same as their first go round. Look for Ramirez to start fast again without the early knockdown. 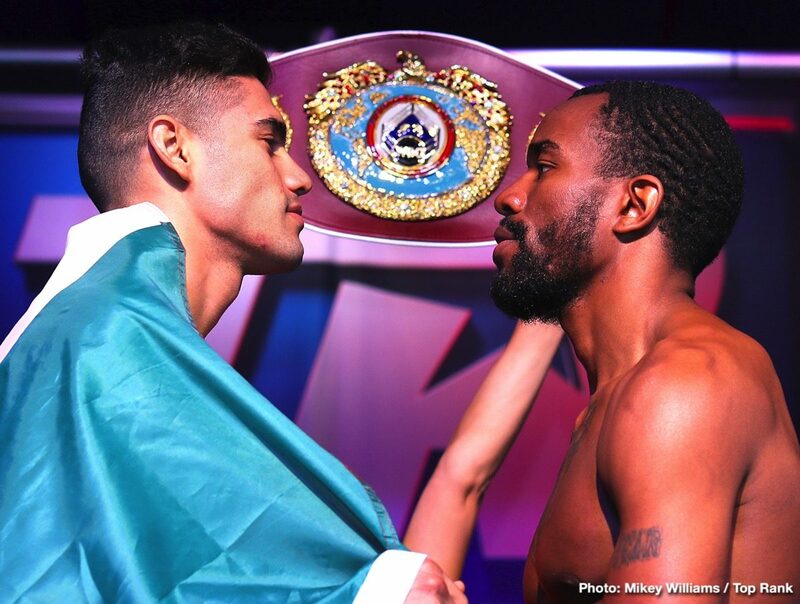 The fighters will take turns stealing the momentum, Ramirez with a blend of pressure and ring generalship, Hart will actively look to be first and/or counter while avoid an early error. With the fight still on the table, Ramirez’s output and clean punching will be the difference. Hart will have plenty of moments and may even hurt Ramirez with something mid to late but it won’t be enough. Both boxers are inconsistent, so this hack-of-a-scribe is leaning towards the house fighter to an extent anyway. Hart likely missed his opportunity the first time and may be concentrated on landing a big shot rather than sticking to the game plan. 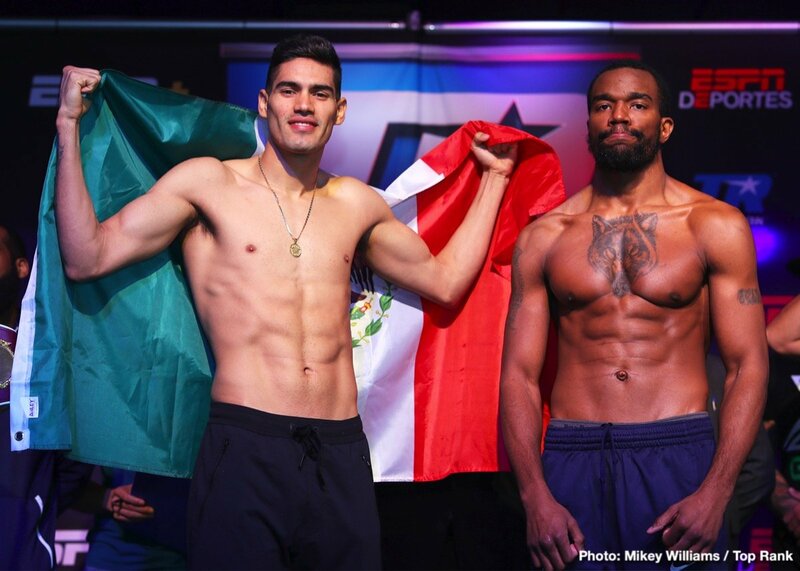 My Official Prediction is Gilberto Ramirez by Unanimous Decision. Side Note: Canelo makes his debut on DAZN this Saturday against Rocky Fielding. Sure, the main event isn’t mouthwatering but the undercard has a few interesting bouts including Sadam Ali vs. Mauricio Herrera and David Lemieux vs. Tureano Johnson.